← Wags & Whiskers Wednesday (#17) – Happy Birthday, Blog! When I first heard the term “designer dog” I thought it was about the most ridiculous thing I’d ever heard. Never one for labels or trends, to me these pups seemed to be nothing more than overpriced mutts. (In reality, mutts are dogs of unknown origin while designer dogs must have purebred parents.) In just the past few years, media and pop culture have led us to believe that hybrid dogs are the new thing – Puggles (Pug/Beagle), Cheweenies, (Chihuahua/Dachshund), Cockapoo (Cocker Spaniel/Poodle). Are you kidding me?!? Seriously….does it get ANY cuter? 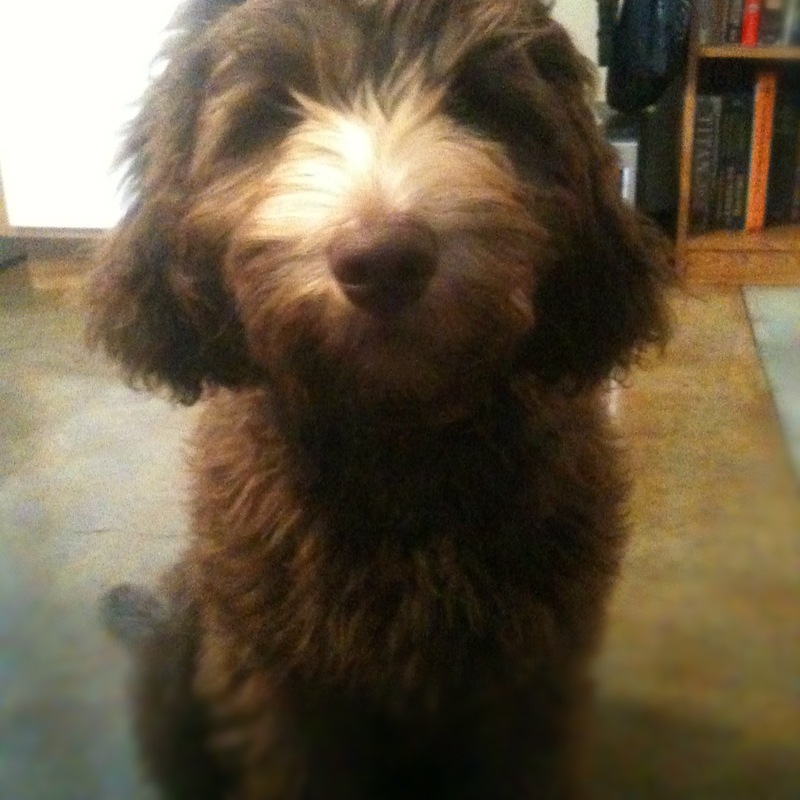 …then I met a Labradoodle. Because the Labradoodle is a designer dog and not a breed, no one can officially define their temperment or list their character traits. Let me tell you this, though – these dogs are AWESOME. They (they being all the “Doodles” I’ve ever come in contact with) are friendly and full of energy. They are playful and great with kids. They adapt easily to different environments and are smart. I am lucky enough to walk a little Labradoodle pup every day, and let me tell you – his cuteness stops traffic on the daily! I can’t walk half a block without someone stopping to comment on his cuteness or pet his abundance of chocolate brown curls. I’d love to hear from some Labradoodle parents out there! 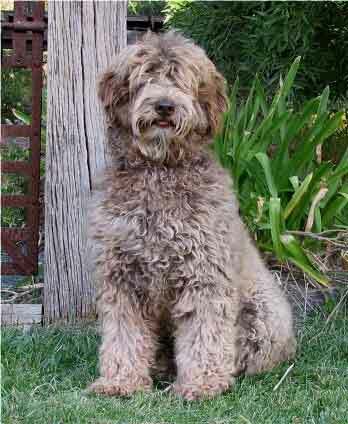 I don’t own a labradoodle but I have heard nothing but good things about them from people who do! I too, thought the whole “designer dog” thing was absolute non-sense until I watched an episode of Dogs 101 on Animal Planet. They actually explained why they are called designer dogs and the reasons for breeding them. So now I don’t become as filled with rage as I once did whenever I heard someone say that term lol. We just “rescued” a Labradoodle and are so pleased! He’s not only totally adorable, but totally smart, too! He’s great with our kids, loves to cuddle, and is a great watch dog! I highly recommend Labradoodles! Before you pay a high price, check out a rescue first. We got an incredible dog for just a fraction of the price.